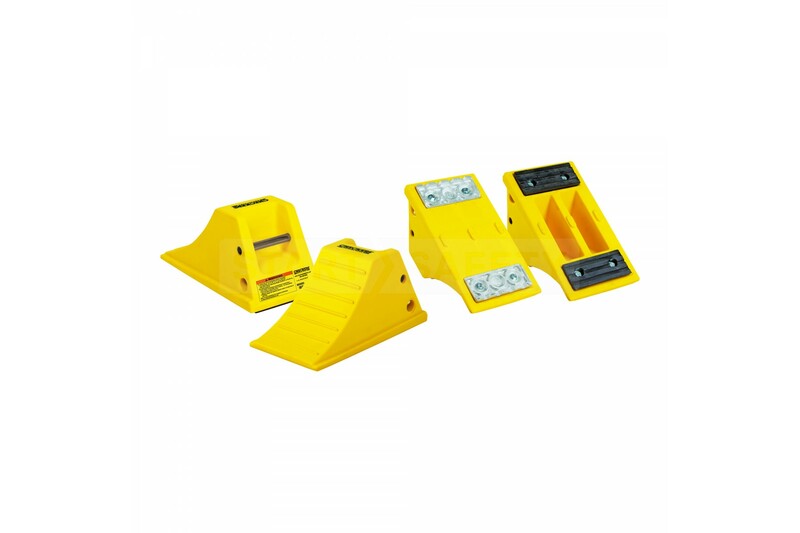 The AT3512 comes supplied with a variety of base options to provide better traction on different surfaces. Part of Checkers heavy duty wheel chock range. These heavy duty wheel chocks are ideal for underground mining equipment, fire response vehicles, and other large utility vehicles. They come supplied with either a rubber flat bottom, rubber cored bottom, aluminum flat bottom, or aluminum cored bottom. ANSI compliant color guidelines ensure that the user is reminded of correct installation procedures during use. Polyurethane construction means that these chocks are resistant to fuel oils, lubricants, weather and impact. They are fitted with a recessed carry handle as well as mounting holes for brackets, chains, and ropes. The AT3512 wheel chocks are compliant with NFPA 1901, 1906,1911 and also meet SAE-J348 for wheels up to 32” in diameter.